3 in. Traditional Spoon Foot Pull The Liberty French Romantics 3 in. 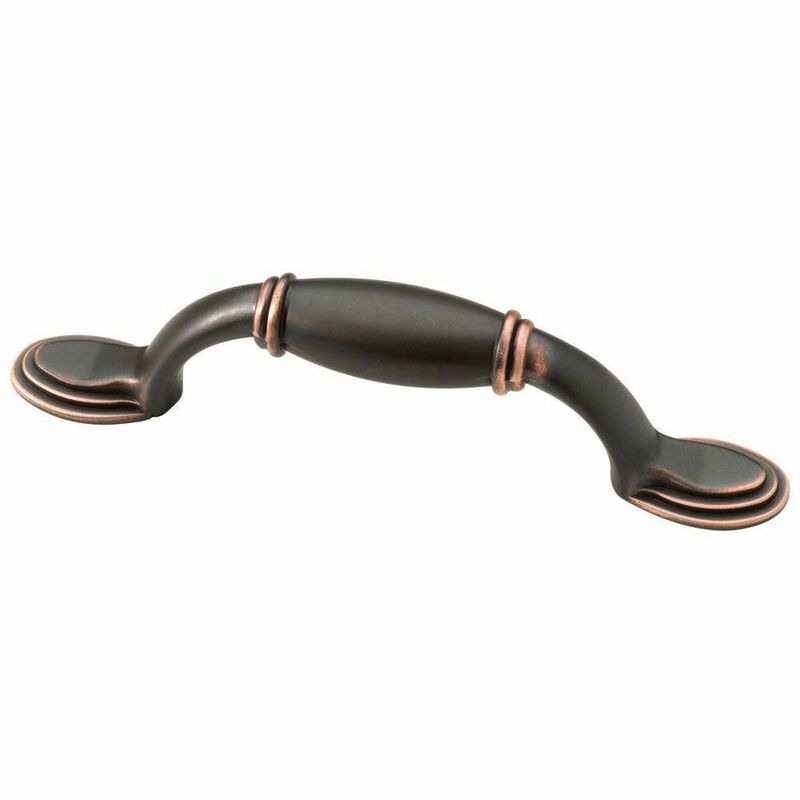 Bronze with Copper Highlights Spoon Foot Pull features traditional design and a warm finish to add classic style to your cabinetry. Make a statement without having to say anything at all when this pull is displayed. Mounting hardware included for easy installation. 3 in. Traditional Spoon Foot Pull is rated 4.8 out of 5 by 30. Rated 5 out of 5 by katb56 from Excellent product and looks great! Love the color and accents. We recently installed these drawer... Excellent product and looks great! Love the color and accents. We recently installed these drawer pulls. You do have to make sure your measurements are correct they come with all the necessary hardware. I would recommend this product to anyone that likes this look. Rated 5 out of 5 by JR from Quality, fit, appearance all very good.... Quality, fit, appearance all very good. Rated 4 out of 5 by LW from They looks great on our cabinets. Easy installation. ... They looks great on our cabinets. Easy installation. Rated 5 out of 5 by LuLu from We are enjoying these new pulls in my kitchen and... We are enjoying these new pulls in my kitchen and laundry room. They were a nice way to update my kitchen, and the copper accents keep them from looking too dark. They were easy to install.